This hobnail style glass beer mug features the Guinness Extra Stout label. 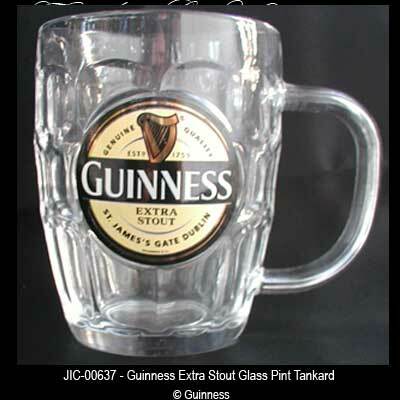 The Guinness tankard is a 20 ounce Irish pint mug that features the Extra Stout label. The glass Guinness tankard stands 5" tall and is gift boxed. The Irish Gift House recommends hand washing for this Guinness mug.